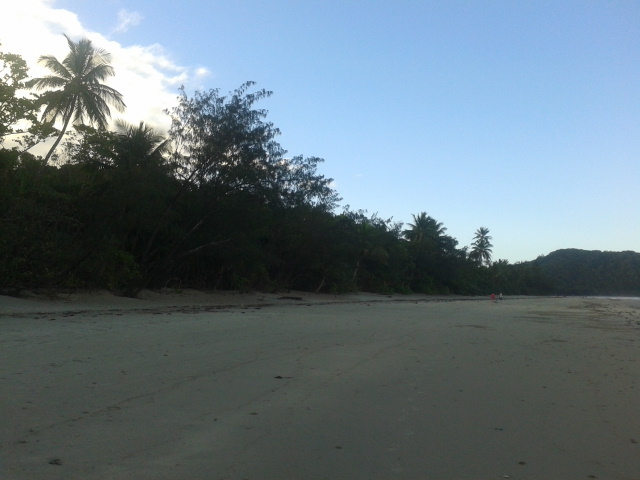 The Daintree Rainforest, Cape Tribulation. Where the oldest rainforest in the world meets the biggest reef in the world. Has that sold it to you already? Well, man alive, what a week it has been! For those of you that don’t know, the Daintree rainforest is a rainforest/national park in northern Queensland about 2-3 hours’ drive, north of Cairns. It is the oldest rainforest in the world, and masses different from what you would see in the middle of Cairns and the backpacker hub. 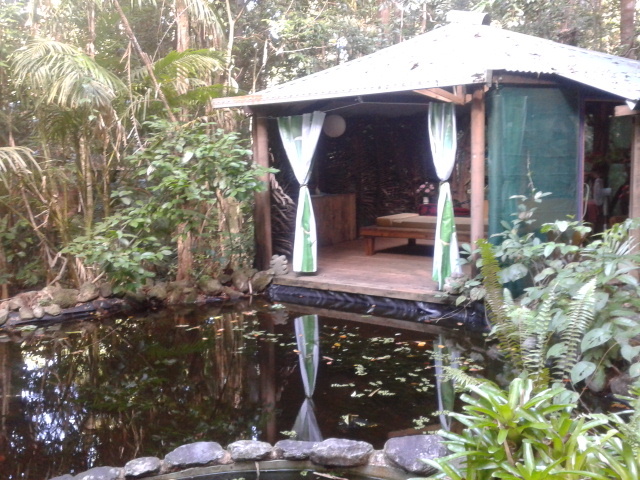 I’m currently sitting in the Rainforest Hideaway, doing yet another Helpx, and my view is acres and acres of lush green rainforest, and maybe even a cassowary or two hiding below my bedroom cabin. 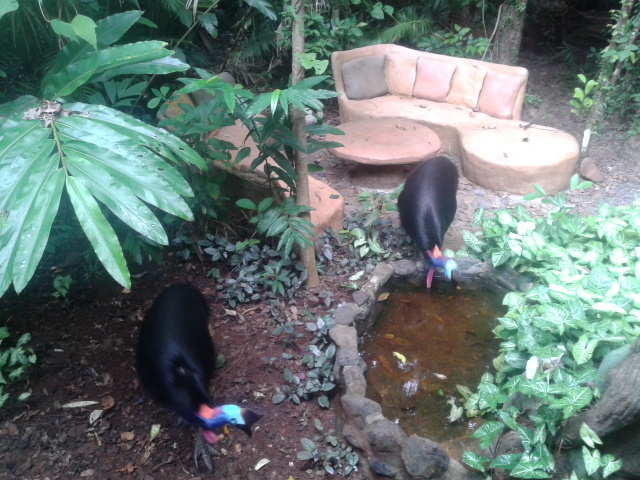 This morning, I came out of my cabin to a cassowary waiting for me as I walked towards the bathroom. 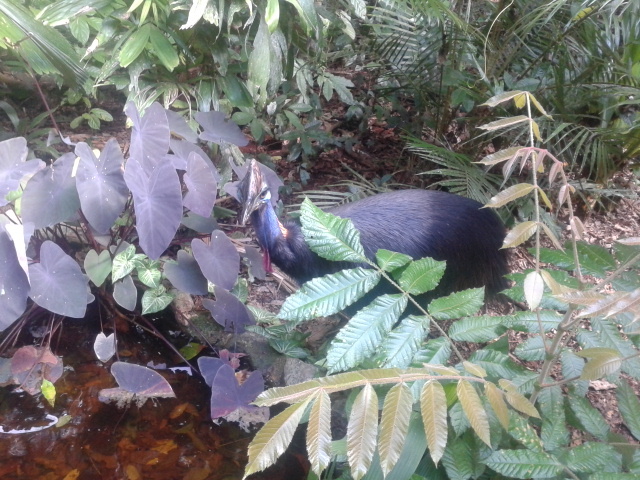 This certain cassowary I’ve seen a number of times (mainly because I feed him/her fruit scraps…) but I’ve also seen a fair few others roaming around. Again, for those who don’t know, a cassowary is one of the largest, and most dangerous birds in the world, and it looks like some kind of prehistoric creature from Jurassic Park. I’ve seen endless signs throughout Queensland, warning to be careful of crossing cassowaries on the road, but the only time I’ve been lucky enough to see one of these rarities, is from the balcony that I am currently sat at. Apart from these beasts of nature, I’ve seen a huge lizard dragon looking thing which has been sunbathing in the path to my bedroom on a number of occasions. 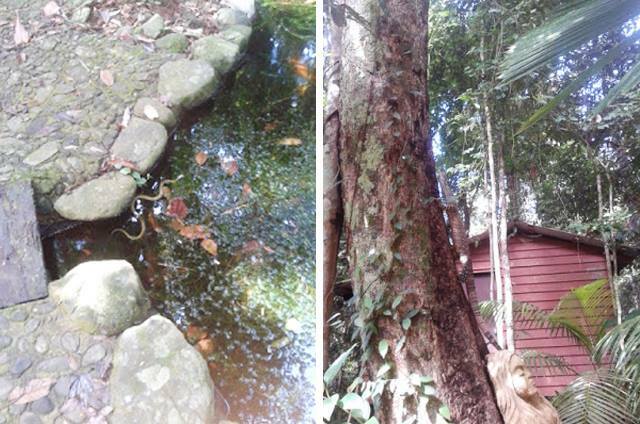 And a few snakes have been seen around, including a python, but I was too scared to go venture. So this little snake having a swim will have to do. What do these critters feast on? No idea, but what I’ve been feasting on is a large variety of tropical fruit that I’ve never come across before. 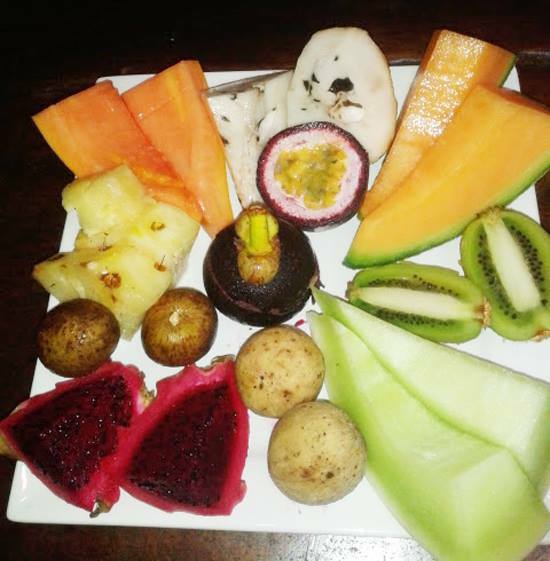 Custard apples, mangosteens, langsat, chocolate pudding fruit, soursop and a million and one other ones that I can’t remember the name of. 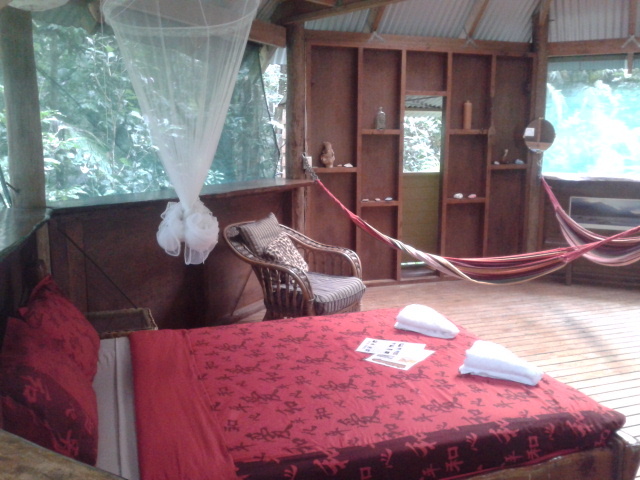 Still haven’t sold the Daintree to you? Apart from the abundance of wildlife and tropical fruits in these tropics, the reason to visit is just the beauty of this place. There aren’t too many places in the world where you can experience the rainforest, without leaving too much of civilisation. From the Daintree you can explore jungle safari tours, crocodile tours, snorkelling trips in the barrier reef (which is better than anything you’ll get from Cairns, as the reef is more untouched up here), and you can also just explore the beach. Having said all of this, the Daintree is a bit of a pain to get to. I’d recommend a car, as living in the jungle means the public transport is non-existent except for one Trans-North bus which leaves Cairns just three times a week. You then need to cross a tiny amount of water to get here but the ferry will charge you around $15 for a two minute trip. There are a million and one places to stay and camp, and a fair few decent restaurants and cafes as well. But the grocery stores are almost obsolete, there is no phone signal and the internet is as slow as the lizard that wouldn’t move out of the way of my bedroom. But it’s the rainforest, so what do you expect? One of my favourite places in Australia so far, and an incredible week feasting on foreign fruits and feeding the fruit peels and skins to my cassowary pet named Bert.